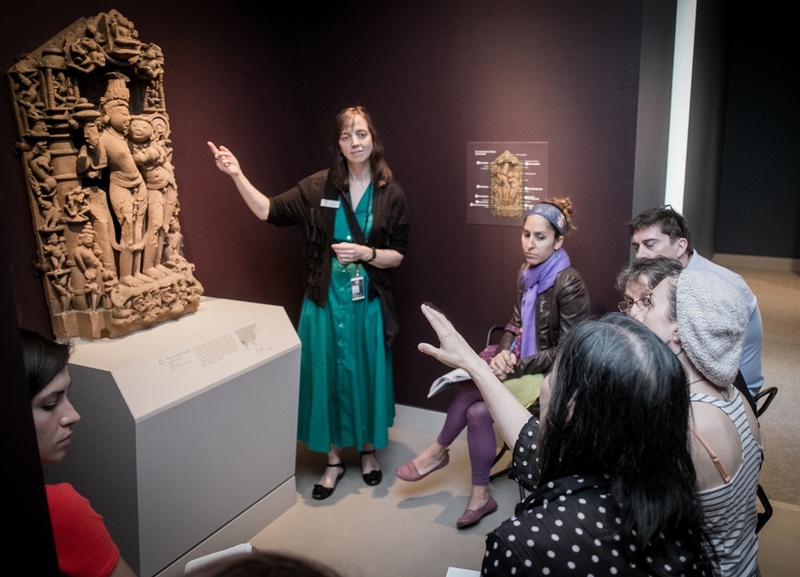 Running a museum takes a whole team of professionals whose different skills help make the Rubin Museum of Art one of the premiere places to visit. To get to know us a little more, and to explore different careers in the arts, each month we will be asking a Museum staffer/intern to answer six questions about their position at the Museum, their favorite artworks or exhibitions on display in the museum and other personal attributes. For the thirteenth installment of we’re going to be introduced to Laura Lombard, Head of Adult and Academic Programs. As Head of Adult and Academic Programs, I work closely with college students and faculty, developing tours and customized curricula, and cultivating and maintaining our University Partnerships. I also serve as an adjunct professor at the New School where I teach courses in Museum Studies and Comparative Religion. Along with these responsibilities, I also develop Education courses and workshops for general visitors. 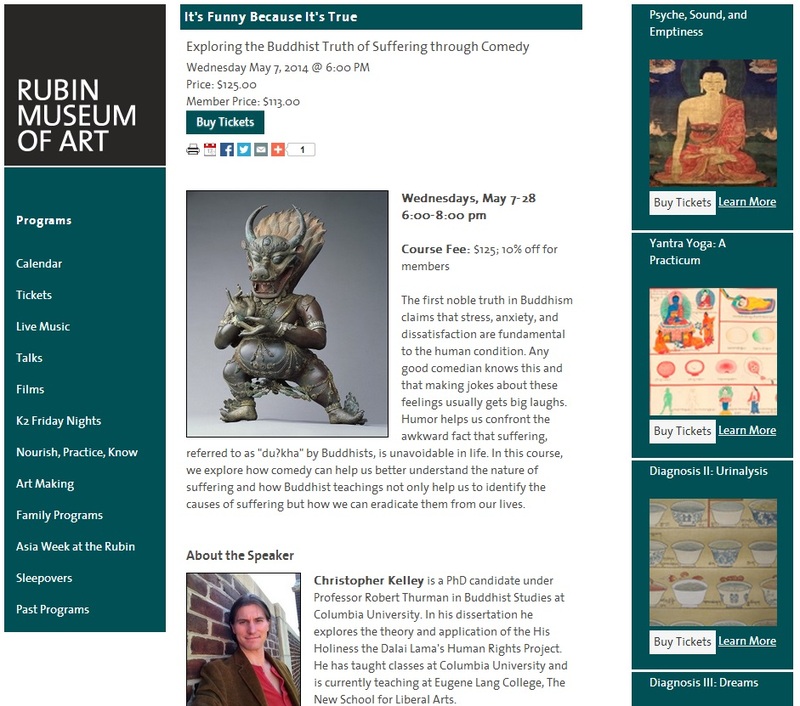 In April, Tashi Chodron, a Rubin Museum guide and colleague, is hosting Nutritional Health & Happiness, which will focus on ways that Himalayan Asian herbs and spices can promote healing, and Christopher Kelley is teaching a course the explores the intersection of Buddhism and comedy in May, It’s Funny Because it’s True: Exploring the Buddhist Truth of Suffering Through Comedy. I grew up in Washington, D.C. After attending college where I received a B.A. in Philosophy, I moved to Europe and copied Old Masters paintings at the Museo Del Prado and the Louvre for a number of years. While working in museums, I learned how to grind paint, make brushes, and construct paintings from different periods from the ground up. It was a wonderful way to walk in the footsteps of the masters. When I returned to the States, I received a MFA in illustration and taught studio art and visual culture classes. A life-long fascination with cross-cultural visual symbols led to designing a Ph.D. program that explored iconography from an interdisciplinary perspective. When I walked into the Rubin Museum in the summer of 2008, I felt at home immediately, enrolled in the docent program. That first step led to part-time and then full time work in the Education Department. We’ve all been working almost non-stop for the past two years on Bodies in Balance: The Art of Tibetan Medicine. In addition to that, we have also been exploring new topics for our Adult Programs at the museum which you can find on our Adult Education page. Without a doubt, Bodies in Balance. Not only is the exhibition fascinating and visually stunning, visitors can explore Tibetan medicine experimentally by savoring special cuisine served in our café and products from the shop to promote wellness and well being. The exhibition catalog is beautiful and really accessible. It’s exciting to see everything come together after such sustained preparation. 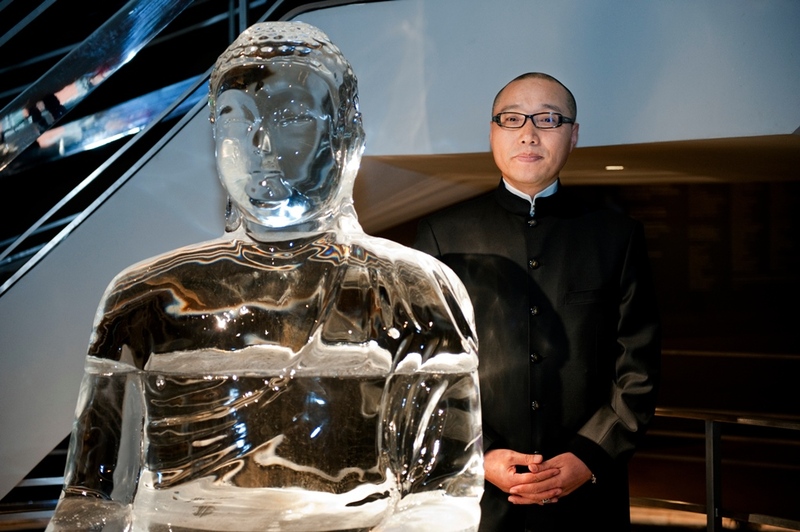 Watching Atta Kim’s four-foot tall ice sculpture of the Buddha melt in our lobby was unforgettable. The piece was created by Kim to be part of our Grain of Emptiness exhibition. As the ice sculpture of the Buddha melted at the base of our spiral staircase, we handed out vials of water for people to take home to water their plants. We kept the lobby open throughout the weekend and people stopped by any time day or night. You can watch the Buddha melt on our website. Fortunately, there’s no career road map for museum educators. If you love visiting museums, teaching, and are intrigued by ways that objects can inform and inspire, you can carve out a career. I would recommend volunteering at different museums to get a feel for their education philosophy and a sense of their teamwork. I love looking at botanical illustrations and enjoy drawing plants. I took my twelve year-old niece to the New York Botanical Garden on a freezing cold Saturday morning in February. As we drew water lilies inside the warm and cozy tropical plant room, we could see a blanket of snow surrounding the conservatory outside the windows. It was magical. Bhutan. 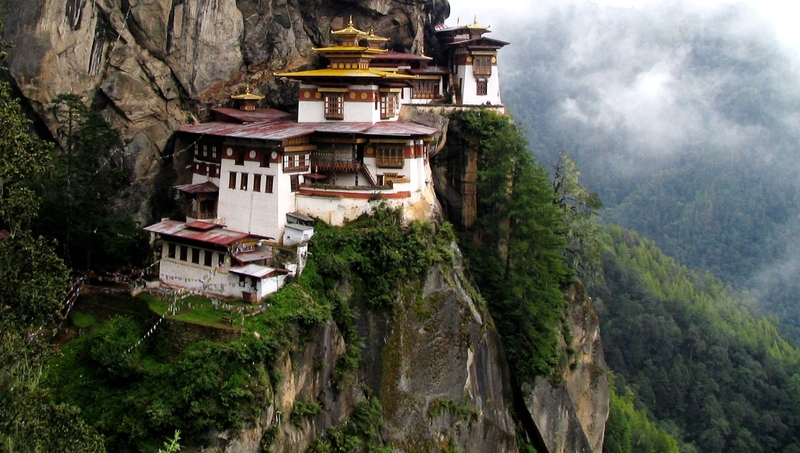 I’d like to visit Taktsang Palphug Monastery, sometimes referred to as the “Tiger’s Nest”. Once you see a picture of the monastery, you can’t help but be intrigued. 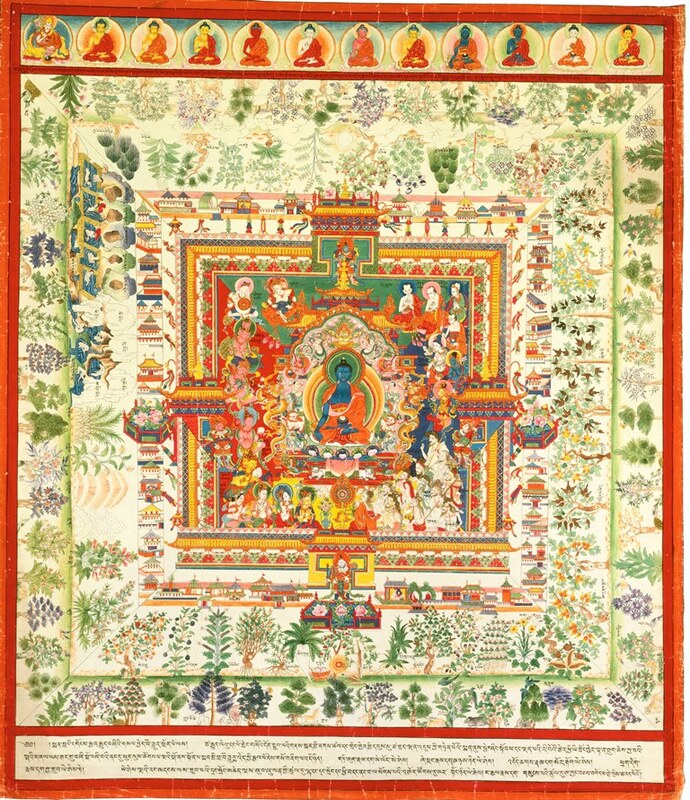 This entry was posted in Himalayan Art, Museums, Staff Connections, University Audiences. Bookmark the permalink.